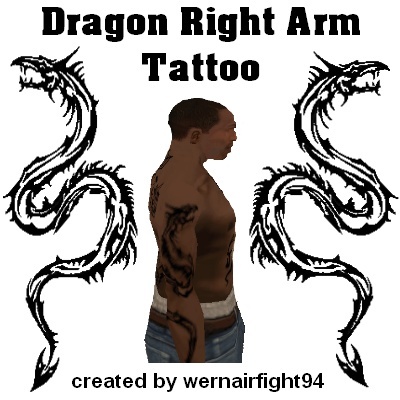 This mod contains: "Dragon Right Arm Tattoo". 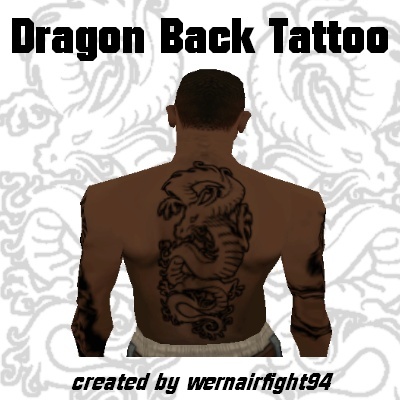 This mod contains: "Dragon Back Tattoo". 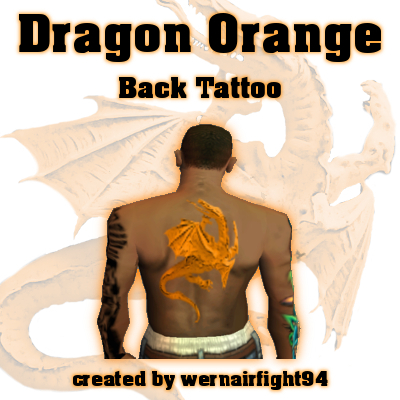 This mod contains: "Dragon Orange Back Tattoo". 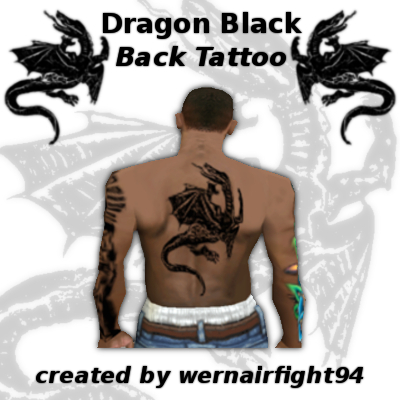 This mod contains: "Dragon Black Back Tattoo". 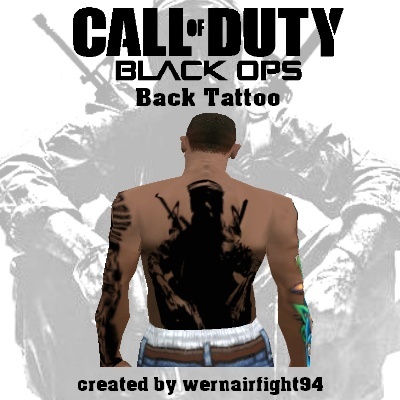 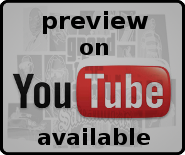 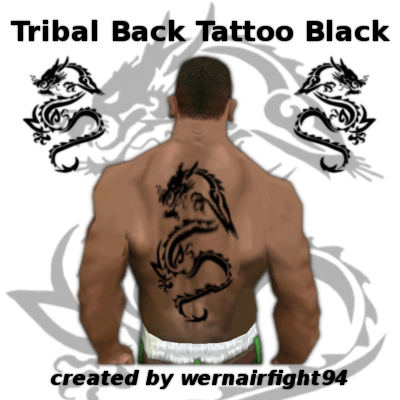 This mod contains: "Tribal Dragon Back Tattoo Black".